Proceeds of this fundraiser class to benefit Aria, daughter of Lee Lavi Ramirez Sensei of North Valley Aikikai who is fighting a rare form of cancer. Haruo Matsuoka Sensei, 6th Dan, is Chief Instructor of Culver City Aikido Dojo, Ikazuchi Dojo in Irvine and the Aikido Program at the University of California at Irvine, as well as Founder of Aikido Doshinokai. He was a direct student of the late S. Abe Sensei, 10th Dan, who was an original, close disciple of O’Sensei. 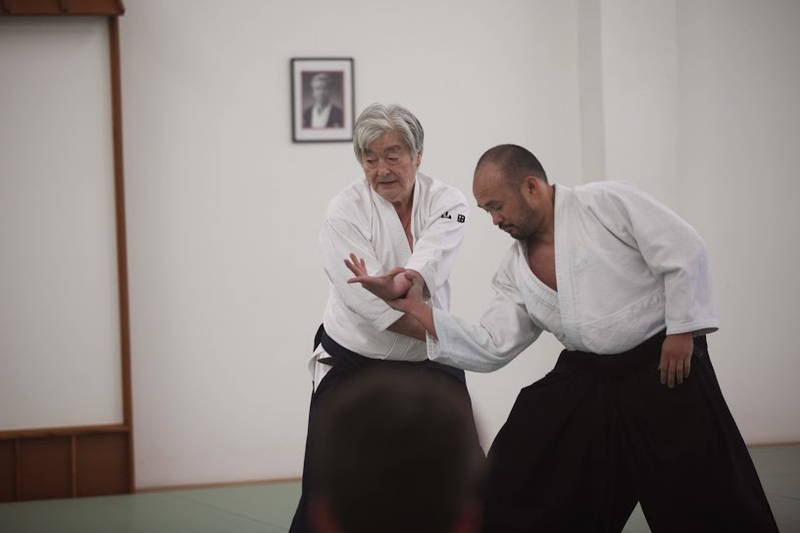 In over 40 years of Aikido experience Matsuoka Sensei continues to explore the fundamentals of Aikido and their relationship to other martial arts. He also teaches many seminars in the US and around the world. Jim Graves Sensei, 6th Dan, is Founder and Chief Instructor of Southland Aikido. In his 38 years of Aikido experience Graves Sensei has had the opportunity to train in eight different countries with many of the original students of O’Sensei. In the late 1980’s he trained in Iwama Dojo as uchideshi with the late M. Saito Sensei, 9th Dan. Graves Sensei is a Shidoin in the United States Aikido Federation under the direction of Y. Yamada Sensei, 8th Dan.